With less than a month to go before I head on my first travels of the year to both Hong Kong and Tokyo, I thought I'd put together a post on my hand luggage travel essentials, both for general practicalities, and more essential items for long haul flights, as I will be flying 16 hours direct this time. After having undertaken lots of long half flights in the past, these items are on my go-to list every time. As far as entertainment goes, chances are if you're going on a long haul flight - there will be a television set in your seat. But on the off chance that you won't, it's always good to have a backup, and sometimes you just can't beat a good old book when you want a break from the screen. And lets not forget your music, there's something quite therapeutic about watching yourself float through the clouds over the ocean drifting away to some music. Another bonus for taking a tablet device, is being able to download some offline television on apps like BBC before you go to keep up to date. Don't forget your own headphones too, usually they are provided onboard your flight, but the advantages of investing in some good quality sound proof headphones of your own will be worth it for their use time and time again, not to mention blocking out the sounds of the plane to help you get a little sleep. Depending on where you're going, it might also be worth having your mobile phone with you to call friends or family upon arrival. One of my main things to take in my hand luggage (though baring in mind your liquid allowance) is a small toiletries bag for freshening up mid-way through the flight. 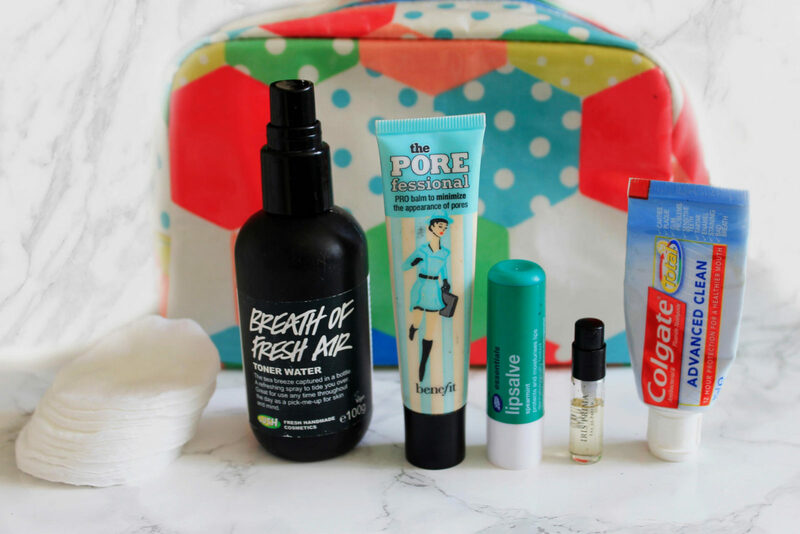 If you're feeling brave enough it's well worth going bare-faced on a long haul flight, however I like to at least have a base and often find my lips get incredibly dry during flights, which is where the Benefit Porefessional and a lip balm stick comes in handy, with a perfume miniature and a small toothpaste tube and toothbrush. For cleansing your skin and keeping it feeling hydrated and fresh I can throughly recommend checking out the 'breath of fresh air' from Lush which is a spritzing mist. 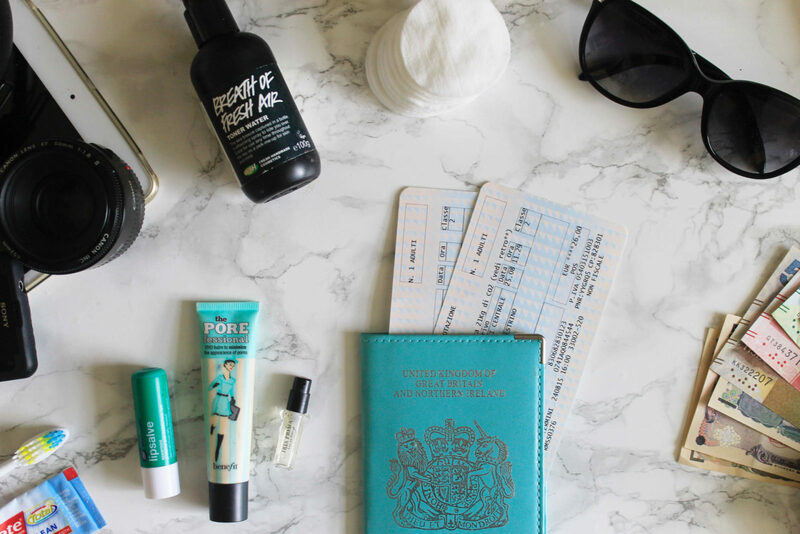 Don't forget also in your toiletries bag if you take any medication, and it's also worth adding in some paracetamol or ibuprofen for any headaches you might get with flying, as well as any doctors notes you might need as evidence for any prescriptions. 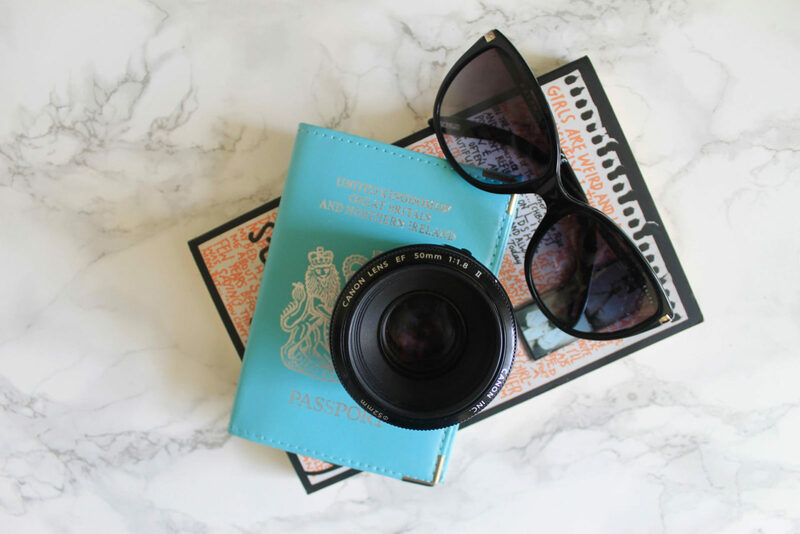 More important than anything else in your hand luggage, of course - your passport! 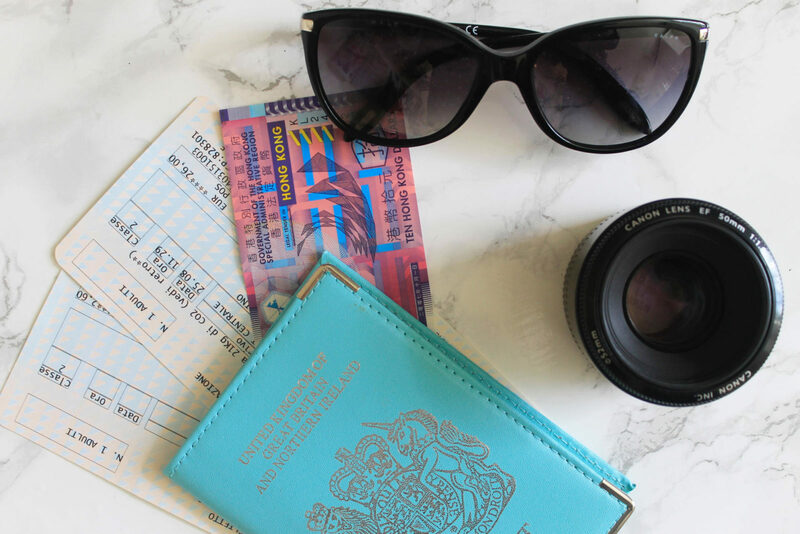 Include your boarding passes if you are able to check in online and print in advance, and make sure you have any visa's or forms you might need to enter your destination. 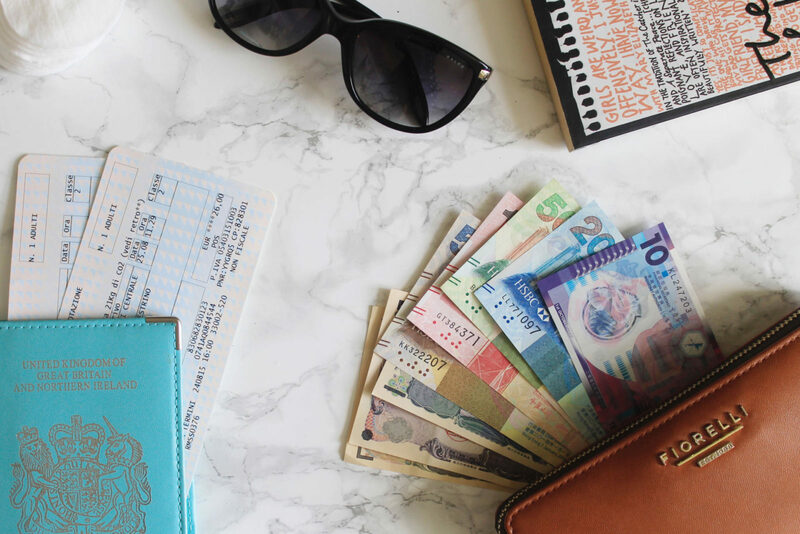 It's not vital to keep all of your travel money on you, but I do feel safer knowing it's in my hands at all times as opposed to in checked luggage, but as with everything else - make sure you don't leave your bag behind! What's on your essentials check list for flying? Are you going to be going abroad anywhere this year?